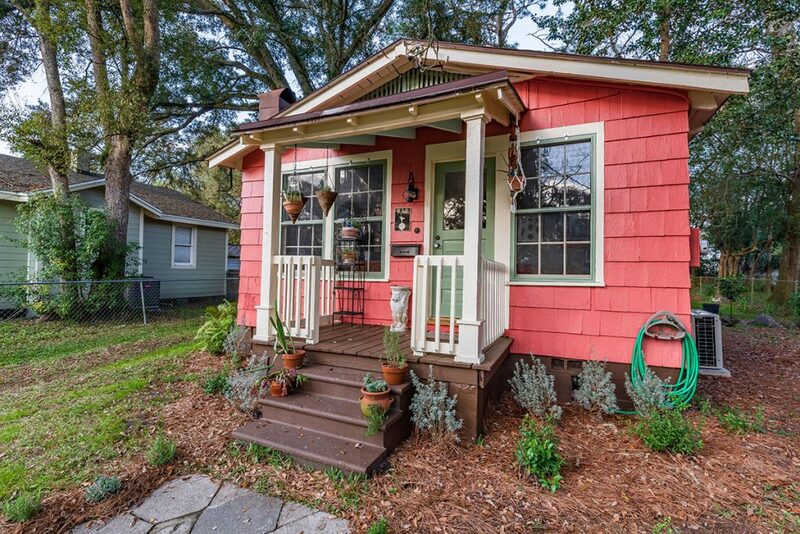 Annual Home Tour to offer 11 homes, retail center on Park and King - The Resident Community News Group, Inc. | The Resident Community News Group, Inc.
Every home in the Riverside Avondale historic district has a tale to tell and there’s no better time to hear about them than during the annual Home Tour, sponsored by Riverside Avondale Preservation. This year’s tour – the 45th – will showcase 11 homes and the Whiteway Corner building on Saturday, April 27, 10 a.m. to 5 p.m. and Sunday, April 28, noon to 5 p.m.
One Avondale home, at 1423 Rensselaer Ave., was the subject of a June 2017 news story when its previous owner petitioned to have the 477-square-foot “tiny home” demolished for new construction. 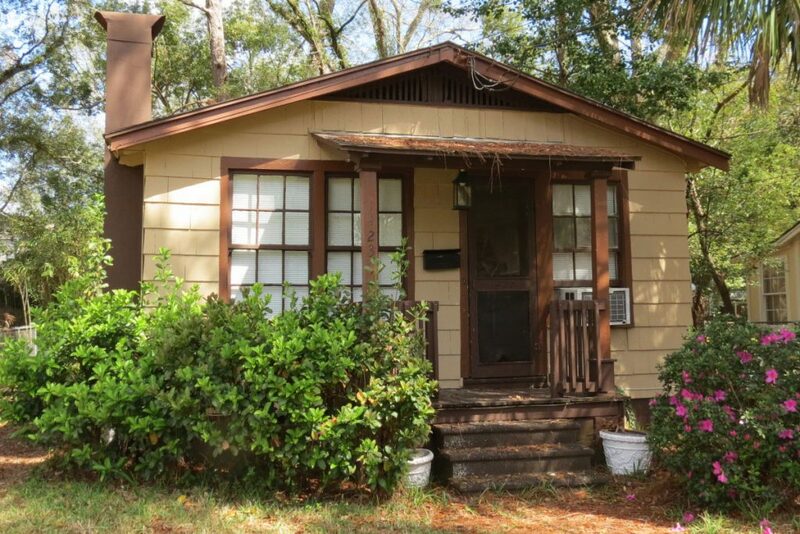 After Daina Berlin’s application was denied by both the Jacksonville Historic Preservation Commission and the City Council’s Land Use and Zoning Committee, Berlin sold the home to Beth McGovern, a realtor with Traditions Realty. After purchasing it in December 2017, McGovern spent the next six months renovating the one-story Frame Vernacular-style house, estimated to have been built prior to 1920, before she could occupy it. She moved doors and walls, replaced the wiring and plumbing, had all the windows pulled out and repaired, custom screens made, and installed an air handler in the bedroom for heat and air-conditioning. The double-hung windows have pin mechanisms instead of ropes, and the window in the bedroom is a pocket window. The 56-square-foot galley kitchen sports a microwave/convection oven with retractable downdraft. “It was really fun to problem-solve the issues,” said McGovern, who had to get creative with space. 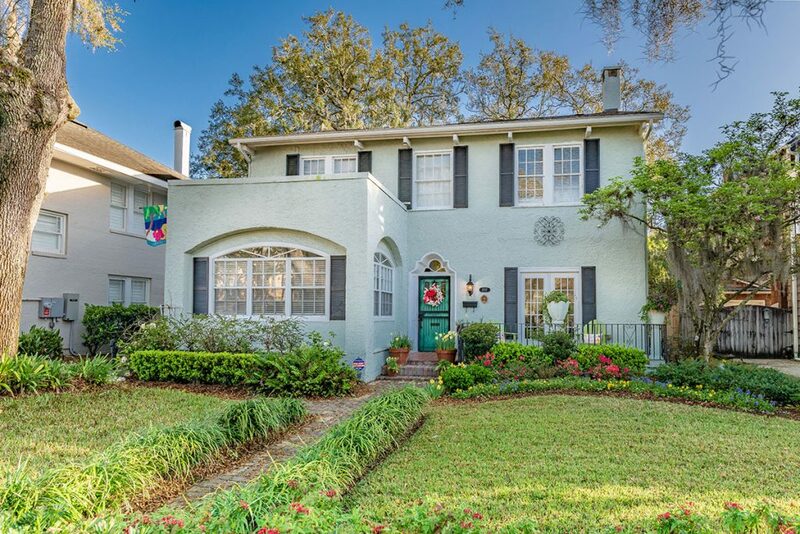 Another house with an interesting story is Jack and Liz Bobeck’s home at 1717 Edgewood Ave., built in 1925 for a woman known only as Mrs. F. P. Hoover, and classified as a local artist on the Florida Master Site File site inventory form. Liz Bobeck thought she may have been a classical pianist. A little research reveals the woman may have been Mary P. Hoover, widow of Dr. Franklin P. Hoover, who was secretary of the Florida Automobile Association in 1908 and member of the Florida Medical Association in 1905. What is known is that all the craftsmen who built the unique 35×35-foot house signed the foundation, and that it was also the home of the late Bette Mackoul, owner of Avondale Gift Boutique. The Whiteway Corner, which has been in George Martin’s hands for 50 years, was constructed by the Nasrallah brothers, Azeez (1885-1965) and Andrew (1892-1963) in 1927 with 10 storefronts. The name for the original one-story yellow brick building came from white electric streetlights which the Nasrallahs installed along Park Street around the same time. The Whiteway Corner’s original tenants were Hoyt Music Shop, Blitch’s Red Front Store, Whiteway Realty office, Whiteway Deli, Bennett Drug and Pharmacy (now the location of Bloomers Lingerie), Shoe Repair, Haft Ice Cream and Purity Bakery. After World War II, the Nasrallah brothers expanded the retail complex with a two-story office/retail building in 1948. In 1968, after the Nasrallah brothers had passed away, the Whiteway Corner was purchased by George Martin, his wife Judy, and his mother, Caeli Martin, from the Nasrallah estate. One of the highlights of the Home Tour each year has been a preview party at a home listed on the tour. However, this year the social event will be a Twilight Party at a home on Richmond Street on Thursday, April 25. The ticketed event will feature a guest speaker, Jim Delgado, a maritime archaeologist among many other careers. Delgado and his wife, Ann Goodhart, moved from Washington, D.C. to Avondale in July 2017 after they purchased a 1929 Prairie School-style home in the Arden neighborhood. For a complete list of the homes on the tour and to purchase tickets for the tour and the Twilight Party, visit raphometour.com or stop by the RAP office at 2623 Herschel St.